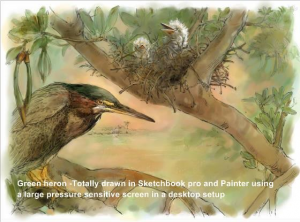 An intro to the basic concepts utilized in digital drawing and painting. There are varieties of old and new pen based input devices now available that allows the artist to directly draw on your very own digital canvas. The programs/apps that you use to “draw and paint” are very similar and NOT necessarily complex, but just say no to Photoshop! There are a commonality of concepts that you need to look for that will make your understanding and use of drawing apps a lot easier (even Photoshop). 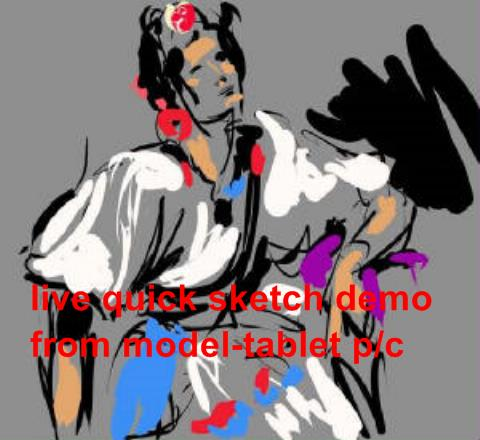 With the advent and widespread availability of the IPad, IPad Pro, Surface Pro, Samsung Android or a Wacom digitizer table hooked to your laptop, portable digital sketching is now readily available to all. 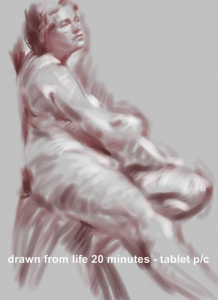 Consider the digital world as just another drawing or painting opportunity….. with the whole art supply store at your fingertips; you can undo strokes and you don’t ruin your new pair of slacks with paint. Even if you are not interested in producing a digital tour de force, it is a great tool for working out the problems of composition, color etc of your traditionally created masterpiece. If you get stuck with that masterpiece, just take a snapshot of it and test out ideas by overdrawing, cutting and pasting, glazing, smudging and tinting. 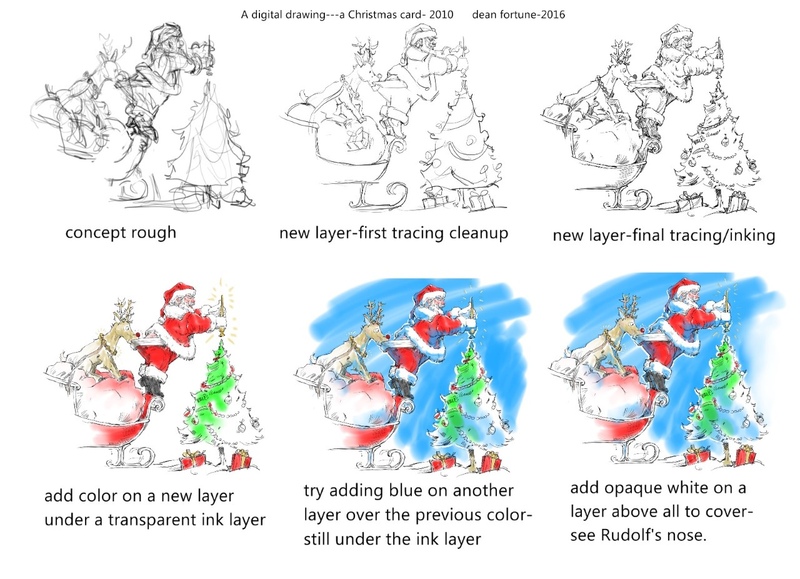 Do this on a “layer” that you can turn on and off, to see the before and after! Please have a working familiarity of your device so we can concentrate on the digital drawing process. This is a mouse free, Photoshop free class. We will be using pen input. Preferably the pen input should be an active pen that gives pressure sensitivity, however if you have an iPad that is a not an iPad Pro with the apple pencil, a rubber tipped “dumb” stylus is a “OK” option. 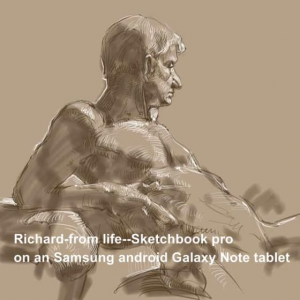 Bring your device with Sketchbook downloaded. www.sketchbook.com There is a free download and a Pro version.